Mum, Dad, little brother and I were shown to our well appointed two bedroom poolside apartment at Wyndham Resort Denarau Island, Fiji. I immediately donned my float vest, jumped into the pool and viewed the rest of the holiday from the water. If ever I couldn’t find Mum, Dad would say: “have you checked the spa or massage table?” In the meantime, little brother and I lapped up the attention from the kids’ club staff and romped in the playground. Outside the resort, we shopped at the undercover market in Nadi town and bought sarongs and crafts at the boutiques in the main street. 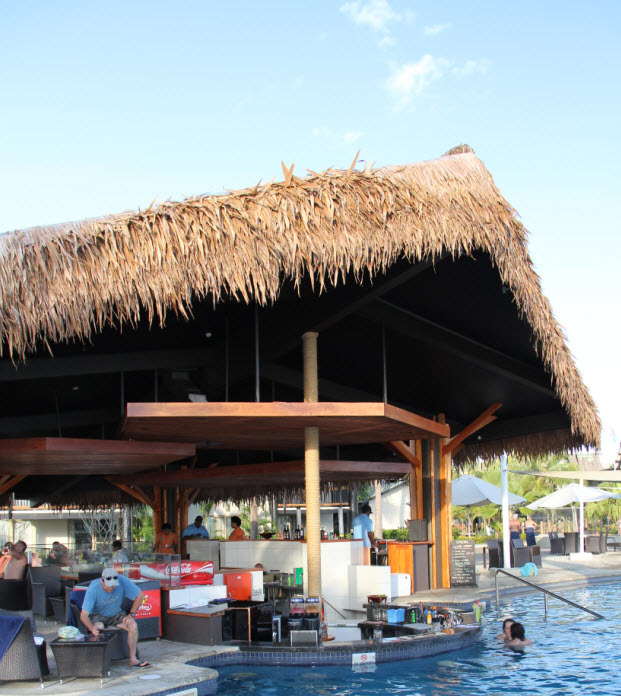 We were just a hop, step and a jump away from the fine dining restaurants at the Port Denarau marina and enjoyed day excursions to tropical gardens and mud hot springs. We’ve booked again for 2014.